Addiction can be a deep-rooted problem that can cause a myriad of other problems if not treated early. And this is the reason why it should be treated sooner rather than later. For people suffering from drug addiction, along with their families, drug addiction treatment offers hopes of redemption and healing. Although for most addicts and their families, they often feel unsure about what to expect from the treatment and their speculative sense of optimism can often be mired with skepticism and uncertainty. For one thing, drug addiction starts out as a voluntary decision to take part in such behaviors. An occasional drug addict often sees himself seeking the feeling he gets when he is high, and over time, becomes a compulsive drug user. In a subtle way, his brain changes cause a lot of psychological and behavioral problems, which can ultimately alter a person’s thinking and behavior. Given much time, drug addiction becomes a brain disease which is why it needs to be effectively treated in drug addiction treatment centers than doing a self-medication. Although it can be dependent on the substance being abused, drug addiction possesses its own mechanism in altering the way the brain functions. And regardless to what the drug being abused is, the effects of it to the brain can be similar in so many ways. Brain changes can appear in so many levels, from the molecular structure of the brain, all the way to its make-up. Even how it responds to mood changes and other physical activities can have an impact with prolonged abuse of drugs. The truth of the matter is, no one wants to voluntarily go for drug addiction treatment unless they personally recognize that they have a problem. There are two common reasons why a person would find himself seeking treatment for drug abuse. One is their family urged or forced them to seek treatment and the other might be that they were ordered by the court to do so. Although research has indicated that those who face heavy pressure to confront and address their addiction do better during treatment, heedless of the reason why they sought treatment. As addiction can be a chronic disease, there are people who go into a complete cessation of taking the drugs or what is known as a cold turkey. Some people also give up their drug use after serving just once in a treatment facility. For many, though, it can be a long-term battle which requires repeated treatments. Generally, not every treatment is made to fit for everyone, which is why it needs to customized depending on the unique needs of the addicted person. There are also different co-occurring disorders that may accompany the addiction and everyone can respond differently to the treatment. As a consequence, it can be logical to expose a drug addict to different forms of therapy that can be tailored to fit their needs. 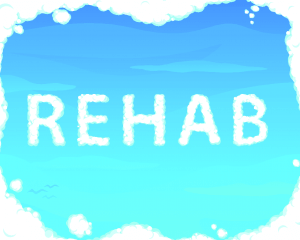 Relapses most often occur to people who are in the midst of recovery and are faced with a situation or environment where they become vulnerable to drug use again. Such instances as psychological stress from the family or work, an environment which strongly suggests drug use or even one which reminds them of their drug use, can cause a person to go into a relapse. But this does not mean hopelessness or failure. A person just needs constant reminders of his motivation to stay sober and confront any issues that may be posing a problem to his recovery. Drug addiction is a lifelong battle. But with the proper help and guidance, anyone can overcome such difficulty. There have been thousands of people who’ve been through the same struggle and told the tale.